Hiking or running which is better for weight loss - Mummy's Gone Mad! | Mummy's Gone Mad! Execution of regular physical exercises is without question going to have positive impacts on your health. The physical exercises not only reduce the dangers of contracting various illnesses and health conditions but also aid in sustaining a healthy body weight or cutting down body fat. Hiking and/or running can be great physical activities for outdoor aficionados to partake in, as they help in burning calories by hundreds per every hour of exercise. They also assist so much in blasting fat from your body. It is highly recommended that you consult your physician before commencing any type of fitness regime, and ensuring you have the right equipment for hiking/walking or running. You can always go hiking for pleasure while working out at the same time. It burns a lot of calories regardless of where the hiking takes place, be it along plain paths or mountain trails. 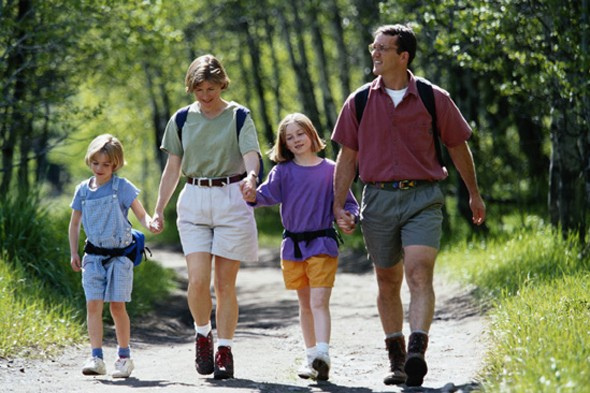 Harvard Health statistics have it that a 185 pound individual can burn up to 532 calories after an hour of hiking. On the other hand combining different terrains during a hike, commonly referred to as cross-country hiking, can end up in burning up to 490 calories per hour for an individual weighing 180 pounds. You can always plan a group hike with friends from your neighborhood to make it more interesting. Another helpful kind of exercise is backpacking. It is a type of hiking which involves the carrying of a backpack stocked with supplies and other necessities. Backpacking burns more than 650 calories for persons weighing 205 pounds while those weighing 180 pounds burn more than 570 calories per hour. Backpacking takes long durations and therefore it is vital you ensure you have all paraphernalia to avoid breakdowns along the way as it may affect the targeted results. You can always turn to running at a moderate speed for more effective burning of calories if hiking seems to offer slow results. The amounts of calories burnt depend on your speed and the terrain that you are exercising on. Running at a speed of 5mph for an hour on a level ground will have an individual weighing 205 pounds burn about 750 calories while a person weighing 180 pounds will burn up to 650 calories at the same pace. A slight acceleration to 6mph will result in burning of 930 calories for the 205 pounds individual and 800 calories for the 180 pounds individual after running for an hour. Vigorous running is the ultimate calories burner for the outdoor enthusiast. Though tiring, it produces the fastest results with the ability of burning more than 1000 calories per hour of exercise. Statistics report that more than 1,100 and 1,300 calories will be burnt by a 180 pounds individual after an hour of vigorous running at a pace of 8mph and 10 mph respectively. On the other hand, a 205 pounds individual is expected to burn more than 1,250 and 1, 500 calories per hour of energetic running at a speed of 8mph and 10mph respectively. It is advisable for you to set a target of the weight you want to lose over a given period so that you can choose the best method among the four mentioned above.